PhD, Anthropology, CUNY, 1995. Full Curator, Primates, Department of Mammals, Bronx Zoo/Wildlife Conservation Society. 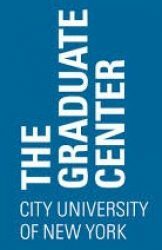 Adjunct Professor, City University of New York, PhD Program in Anthropology. Affiliate Faculty, CUNY/NYCEP (New York Consortium of Evolutionary Primatologists) Program. Affiliate Scientist, Wisconsin Regional Primate Research Center, University of Wisconsin, Madison. Other appointments. Primate socioendocrinology; primate behavior, reproduction and evolutionary history (Cercopithecidae); conservation biology. My current interests are in exploring the proximate and ultimate mechanisms influencing reproduction in primates, particularly in catarrhine primates. To date, my research has been focused on the various physiological mechanisms that produce disruptions in female reproductive functioning and what role this may have had in the evolution of reproductive strategies. My aim is to look at the various ways social behavior can influence reproduction in order to reveal whether there are common neuroendocrine mechanisms operating in different species as an adaptation to group living. 2002 “Shade Coffee Plantations as Wildlife Refuge for Mantled Howler Monkeys (Alouatta palliata) in Nicaragua” in Primates in Fragments, L. Marsh, ed. New York: Plenum Press. 2002 “Ecology and Conservation of Mantled Howling Monkeys in the Shade Coffee Plantations of Mombacho Volcano, Nicaragua.” 16th Annual Meeting, Society for Conservation Biology, University of Kent at Canterbury, U.K.
2002 “Ranging Behavior of Nicaraguan Howling Monkeys (Alouatta palliata) as Evidence of Within-Group Competition,” American Journal of Physical Anthropology. Supplement. 34:166. 2001 “Composición y Fenología de la Comunidad de Árboles en el Cafetal con Sombra de la Hacienda La Luz, Volcán Mombacho, Nicaragua.” Fifth Congress of the Mesoamerican Society of Biology and Conservation, San Salvador. El Salvador. October. 2001 “Territorios y Patrones de Movimiento del Mono Aullador (Alouatta palliata) en un Cafetal con Sombra del Volcán Mombacho, Nicaragua.” Fifth Congress of the Mesoamerican Society of Biology and Conservation, San Salvador. El Salvador. October. 2001 “Population and Habitat Assessment of Mantled Howling Monkeys (Alouatta palliata) Living on Shade Coffee Plantations Surrounding Mombacho Volano Nature Reserve, Nicaragua,” American Journal of Primatology. 54:79. 2001 “Ranging Behavior of Howling Monkeys (Alouatta palliata) in Mombacho Volcano, Nicaragua: A GIS-Based Approach,” American Journal of Primatology. 54:70-71.